The Boston Red Stockings were riding a scoring spree. In three of the preceding seven games, they had scored 20 or more runs, with an average of 16.57 runs per game. 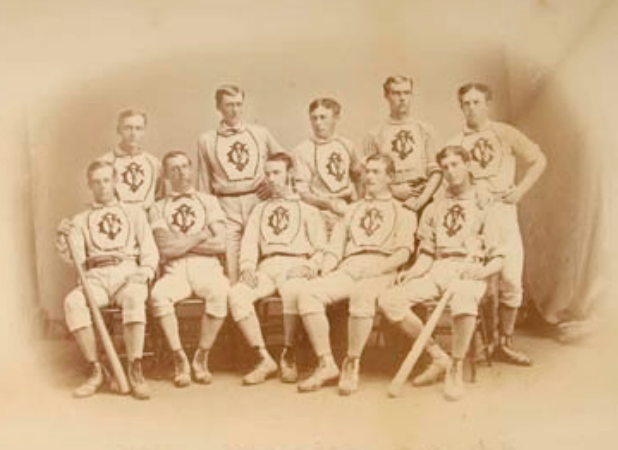 When the Forest City club arrived in Boston for a Saturday game on September 2, 1871, the weather was ideal and a good game was expected — Cleveland had beaten Boston 8-7 the first time they met, then lost 12-8. Between 1,200 and 1,500 spectators turned out for the game. But "it proved a one-sided and unsatisfactory contest. "1 And it was the Boston Journal that found the 31-10 Red Stockings victory an unsatisfactory game, not a Cleveland paper. The Journal noted the quality of the actual baseball used. The lopsided result "was owing in part to the ball which the Clevelands furnished, which was known as the Van Horn dead ball, but which proved an exceedingly lively one, and as the pitching was easy to bat, the consequence was the ball was batted all over the field. "2 The defense was unusually poor. Cleveland's "catcher passed balls without number before he was changed. "3 (There were, in fact, 11 passed balls charged to Forest City’s three catchers. Neither Boston's Dave Birdsall nor Cal McVey, who took over in the fifth, was charged any.) The Cleveland pitcher was necessarily changed, too, more than once, and with only 11 players on the team, and only nine in the game, the swapping around of pitchers and catchers inevitably destabilized other positions as well. Boston scored three times in the first inning and added two more in the third. The score was 8-2 in Boston's favor after six. Then things fell to pieces, for both teams. The Red Stockings batted first (as happened at times) and scored 12 runs in the seventh, the final three of them off the left fielder (and manager) Charlie Pabor, who came in to replace Al Pratt. Both Pratt and Pabor uncorked five wild pitches in the game. Boston threw none. The score was 20-2. Al Spalding was pitching for the Bostons, as he had in every one of the prior 21 games in the championship season. He weakened, and Cleveland scored eight runs in its half of the seventh inning. Harry Wright finished the game for Spalding, swapping places with Spalding going to center field. There were errors, of course, of an uncertain number. The Red Stockings team "made less than half a dozen fielding errors, and who made three double plays. "5 The best play seems to have been the seventh-inning 6-4 double play when third baseman Harry Schafer "made a brilliant one-hand stop, and by a quick throw to Barnes assisted in making the finest double play of the game. "6 None of the box scores otherwise tallied the number of errors assessed, nor did any of the game stories. In the eighth, Pabor was hit for 11 more runs. The score stood Red Stockings 31, Forest Citys 10. Forest City failed to score in the eighth. At that point, the Boston Post reported, "It was now getting late in the afternoon and the captain of the Forest Citys withdrew his nine and the ninth was not played. "7 That may have represented a biased point of view; the Cleveland Plain Dealer wrote, "At the end of the eighth inning, it being late, the game was called by mutual consent. "8 The game had run 2 hours and 35 minutes, exceptionally long for the era. The Boston Journal probably got it right: After eight full innings, "as the Clevelanders had not a ghost of a chance for winning, they requested that the contest end there, and accordingly game was called." 1 Boston Journal, September 4, 1871: 4. 7 Boston Post, September 4, 1871: 3. 8 Cleveland Plain Dealer, September 4, 1871: 3. 10 The earned-run totals are provided by the Cleveland Plain Dealer in its account.